Bead Size 11-13 mm diameter. 2-3 mm hole size(measurement is approximate). See picture with penny for size comparison. U.S. penny is 19mm in diameter. These early two layer beads with white or yellow cores were traded in both the Old and New Worlds, in Africa and both North and South America. They appear to glow from within. According to Picard, which has many examples in WHITEHEARTS, FEATHER AND EYE BEADS FROM THE WEST AFRICAN TRADE, "White hearts...may be drawn or wound. 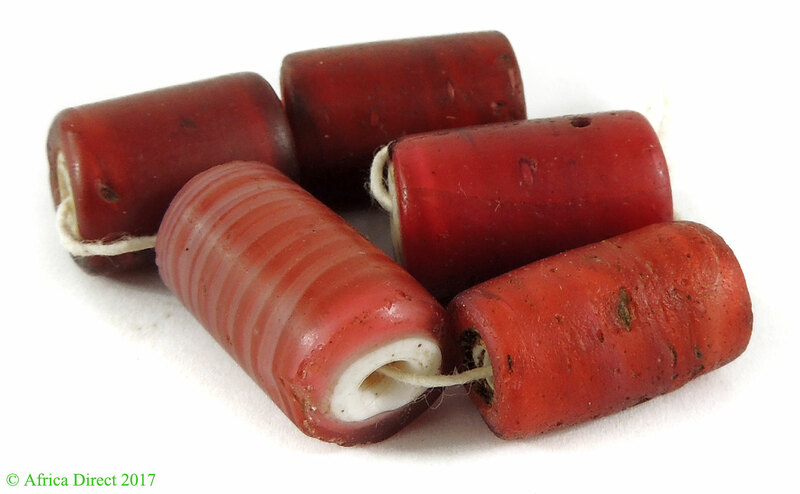 Cornaline d'Aleppo are among the most cherished beads for collectors...because of their rich outer layer color." 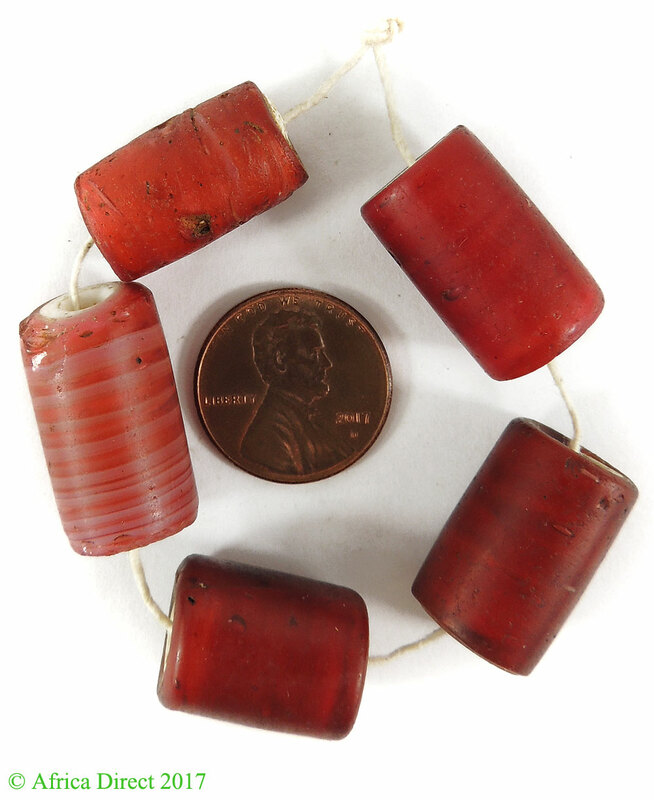 Cornaline is the French and Italian word for carnelian, and it is believed that these beads got their name because they resembled the red color of carnelians.